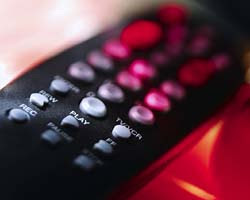 Why does a remote control have more buttons than we will ever use? Chip and Dan Heath and their remarkable book ‘Made to Stick’ say that the answer is “the noble intentions of engineers.” (Thanks, Deyl, for the recommendation). Somewhere along the way someone gets the great idea to add another ‘gee whiz’ feature. It is called feature creep which is the tendency for things to become incrementally more complex until they no longer perform their original function very well. Feature creep happens in my life all the time. I have a predisposition toward complication. I am so influenced by the more-buttons-the-better culture in which I live. Left on my own, I always make things more complicated. And it influences the way I approach my walk with God. I can also buy into the mindset that more is better. And then I remember the words of Jesus to the rich young ruler. MK 10:21 Jesus looked at him and loved him. "One thing you lack," he said. "Go, sell everything you have and give to the poor, and you will have treasure in heaven. Then come, follow me." But what’s revolutionary is the way to follow Him. Not to do more, but to do less. Not to accumulate more, but to release more. Not to multiply … but to simplify. Not a checklist of duties, but a re-centering of our lives. And to make sure nothing gets in the way of following Him as our highest ambition. For the next several weeks we will be exploring what it means to simplify our lives before God. Looking forward to the journey together.